Chinese medical culture is the foundation of Chinese medicine. The Journal of Chinese Medical Culture is sponsored by Shanghai University of Traditional Chinese Medicine. This Journal engages in providing healthcare practitioners and worldwide readers with the knowledge of medical humanity, history,acupuncture, herbs, health cultivation and disease prevention, in an attempt to help readers understand Chinese medicine and further bring healthy life to more people around the world ! 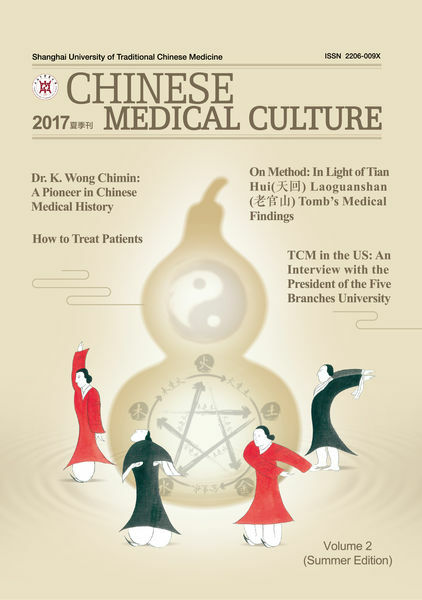 There are twelve articles in Chinese Medical Culture(2017 Summer),including TCM in the US,Chinese Auspicious Color—Red Dyeing with Su Mu, How to Treat Patients, Techniques of Ba Duan Jin and so on. Author by : Joseph S. Nye, Jr.
Chinese, Culture, Edition, Medical, summer permalink.